The Gargantuamouse is a breed of mouse found in the Fiery Warpath as part of the first three waves. It is known to drop Ancient Relic and Flameshards as loot. The Gargantuamouse has no specific preference for any kind of cheese. The Gargantuamouse is only available to attract when a hunter has achieved a streak of 7 or more unbroken catches of a specific Marching Flame class or unit (Archer, Artillery, Cavalry, Mage, Scout or Warrior). Hunters are advised to arm a Draconic weapon in order to catch this mouse, although rarely other power types will work. 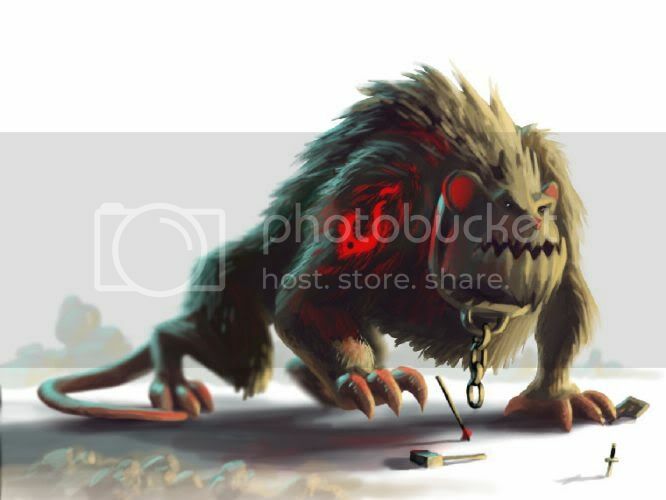 Arming Gargantua Charm will ensure no mouse is attracted except Gargantuamouse. It may also be advisable to arm a Warpath Commander's Charm, so that if a Gargantuamouse is not attracted, at least the hunter still has a chance of attracting a Crimson Commander for quickly reducing the remaining mice in the wave. The Gargantuamouse drops the Gargantua Egg and Warpath Egg during the annual Spring Egg Hunt. 22 March 2011: The Gargantuamouse was introduced with the release of the Sandtail Desert region. 14 April 2011: The Gargantuamouse began dropping a bonus Warpath Egg as loot during the Spring Egg Hunt 2011 event. 29 August 2012: The Gargantuamouse began dropping Ancient Relic as loot..
15 April 2014: The Gargantuamouse began dropping a bonus Gargantua Egg instead of a Warpath Egg as loot during the Spring Egg Hunt 2014 event. This page was last edited on 6 April 2018, at 19:30.